Rock and Roll Hall and OWSP – One World Sight Project, Inc.
to raising funds for blindness prevention and treatment activities by means of coordinated international concert telethons. an international funding effort to encourage new initiatives for the establishment of independent, effective, sustainable national ophthalmic health care delivery systems in all nations by working closely with the Blindness Prevention Program of the World Health Organization. oriented, but plans to support the ongoing efforts of existing eye care organizations with proven track records. One idea that has appealed to the entertainment industry is that OWSP sponsored organizations intend to provide sight to thousands of people in many countries around the world, simultaneous with the initial fund-raising efforts. President Nelson Mandela, whom Dr. Weiss met while in Johannesburg where he performed a delicate reconstructive eyelid procedure on the President, recently encouraged Weiss in his efforts. Mandela was impressed with the international cooperative aspects of the project. As a result, OWSP is attempting to support a joint eye care development effort between South Africa and neighboring Mozambique, one of the poorest African nations in eye care resources. inspired him to create the project. Mr. Wonder also was invited to participate via a taped message from the floor of the 1990 International Agency for the Prevention of Blindness meeting in Nairobi. Another early advisor, Dr. Bjorn Thylefors, Programme Manager of the Blindness Prevention Programme in Geneva, delivered this message. Weiss states that “Mr. Wonder’s nominal involvement has helped tremendously as we have been carefully developing our fund-raising plans”. but Weiss says that additional funds are needed for seed money in order to produce and promote the events. To provide relief (curing blindness) and sustainable development that will benefit millions of needlessly blind around the world. There are nearly as many eye surgeons in the San Francisco metropolitan area as there are in the entire continent of Africa! 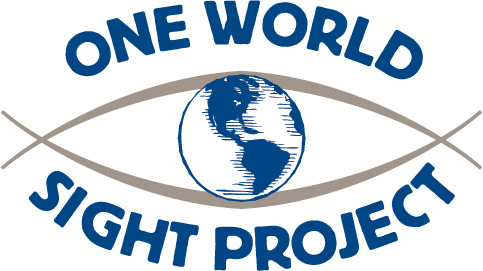 One World Sight Project, Inc.